This is a private members club, brasserie and event space located on the famous King’s Road in the upmarket area of Chelsea. Embodying the same sophistication of its surrounding neighbourhood, this space exudes style and elegance in every way. 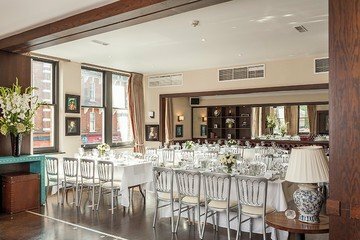 Occupying an charming Victorian building, the venue is spread across 4 floors, offering a variety of atmospheres to suit different occasions. 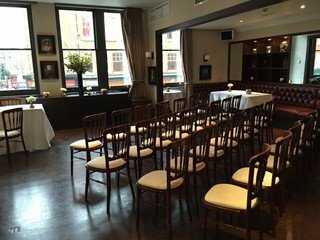 Rent space in the Member’s Lounge for larger events around and upwards of 100 people. 140m2 in size, the space is suitable for party hire, private dining, and even serves as flexible workshop space for large groups. Rental of the party room comes with internet, sound system and air conditioning. The Member’s Lounge accommodates 80 seated and 120 standing. 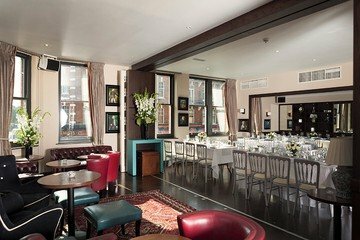 We also offer other spaces for rent in here, including its Penthouse Champagne Bar and Club Room, which are ideal for meetings and informal business lunches. Offering a variety of state-of-the-art facilities in a luxury setting, This space is certainly of one of West London’s most exclusive event venues.